If you want to buy a Lawrence High School yearbook or sell your LHS yearbook, this is the place to do it. Just make a post below to find another person who went to school in Lawrence to make the trade. Looking to find 2006 yearbook to surprise my husband, He never got to buy his yearbook when he graduated. i never bought my year book and i would love to request one now please. thank you so much. being the procrastinator I was in high school, I never realized how important a yearbook would be to me in the years to come. 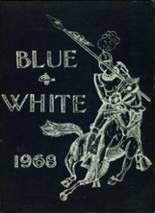 I�m looking for my 93 LHS year book & the 1989 year book from the James F Leonard School. Any help would be greatly appreciated. Please I lost my 1979 yearbook on a fire. Would like to purchase another one. Who can I contact. I'm living in Puerto Rico. 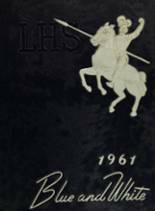 Would like to view yearbook of June 1979 L.H.S. Graduating Class. 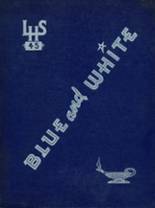 Yearbook Request by Hamilton Legette Legette Sr. If anyone has the class of 1972 they want to sell, please contact me. I lost mine. Looking for my yearbook last seen in Phoenix, Arizona. Class of 1969 borrowed from me by Lorriane Bourassa (deceased). Would prefer my book, or another.